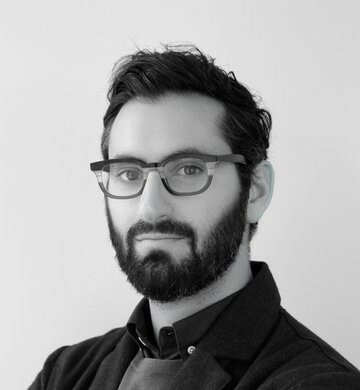 Joseph Becker is the Associate Curator of Architecture and Design at the San Francisco Museum of Modern Art. Since 2007, Joseph has contributed to over twenty exhibitions at SFMOMA, including curating Tomás Saraceno: Stillness in Motion – Cloud Cities (2016-7) and Field Conditions (2012) as well as co-curating Lebbeus Woods, Architect (2013-14) and Typeface to Interface: Graphic Design from the Collection (2016). In addition, he has been responsible for many major acquisitions for SFMOMA’s collection as well as the exhibition design and visual direction of the majority of SFMOMA’s A+D exhibitions during his decade-long tenure. He has served on numerous architecture, design and public art panels, been an invited juror at many national architecture programs, led workshops on exhibition and experiential design, moderated public dialogues and lectured internationally. He received both his Bachelor of Architecture and his Masters of Advanced Architectural Design in Design Theory and Critical Practice from the California College of the Arts, where he is a Visiting Professor.